Car insurance is a necessity for every person who owns or operates a vehicle. It is a financial tool that can help protect you against lawsuits if you injure another person or cause property damage while operating a motor vehicle. It can also shield you against financial loss if you are injured or sustain vehicle damage because of an accident. When shopping for cover, it is important to understand how different types of car insurance compare. When you talk to an agent, she will likely ask if you want to purchase a liability or full coverage car insurance policy. Understanding the difference between the two can help ensure that you obtain the coverage you need without paying more than necessary. A liability policy pays for injuries you cause to occupants of other vehicles if you cause an accident while driving. Bodily injury liability coverage also extends to bicyclists and pedestrians; however, it typically does not extend to you or other occupants of your vehicle. Liability also provides payment for the repair or replacement of property you damage while driving a vehicle. This includes payment for damaged or totaled vehicles, road signs, fences, and buildings. In some cases, liability coverage will also pay to replace personal possessions contained in another person's vehicle at the time of an accident. Like bodily injury liability, property damage liability offers no protection for your vehicle or other property you own. Liability is subject to a maximum amount per accident. If the costs of injuries or property damage exceed this amount, the insurance company will only pay the maximum limit stated in the policy. You would be responsible to taking care of any costs in excess of this limit. A full coverage policy offers the same coverages as liability cover; however, it also includes other coverages to enhance your protection. Full coverage policies typically include physical damage coverage, which pays for repairs to your vehicle after an accident, even if the accident was your fault. It also pays for vehicle damage caused by wind, fire, theft, vandalism, hail, or collision with an animal. Full coverage policies also include uninsured motorist protection, which pays for your injuries if you are hit by an uninsured or unidentified driver. Like liability coverage, uninsured motorist protection is subject to maximum per-accident limits. “Standard” and “non-standard” refer to the types of risks the insurer will accept, rather than the coverages offered under the policies. Most people who have relatively clean driving histories can qualify for standard policies. Because the insurance company assumes a relatively low risk of paying a claim when it insures standard drivers, it can offer coverage at competitive rates. Conversely, non-standard policies are designed for people who have been convicted of multiple traffic violations or have caused traffic accidents. These policies typically offer all of the coverages available under standard policies; however, the premiums for these policies are substantially higher. Also, non-standard policies commonly come with lower liability limits than standard policies. This is because if an insured person causes an accident, the insurer wants to limit the amount it will have to pay for injuries and property damage caused to others. Others who represent increased risk might need to purchase and maintain non-standard car insurance policies. Depending on the insurance company's underwriting guidelines, these people might include teenagers, drivers who have been caught operating a vehicle uninsured, and people with less than three years of driving experience. Most people who work for traditional employers need personal car insurance policies. These policies are typically sufficient because these people spend limited time on the road each day. Those who travel to multiple job locations or use their vehicles for small business errands, though, should consider purchasing a business use plan. The coverages afforded under both types of policies are identical; however, insurance companies usually charge higher premiums for business use policies than for personal policies.. The extra premiums cover the insurance carrier's increased risk exposure because people who use their vehicles for business purposes tend to spend more hours driving. Business use policies are also appropriate for workers who perform certain job functions such as delivering food, transporting clients, or delivering supplies. In some cases, understanding how different types of car insurance compare requires the help of a professional agent. Your agent can evaluate your needs and help you choose the correct type of policy for you. Get the Best Auto Insurance Rates! 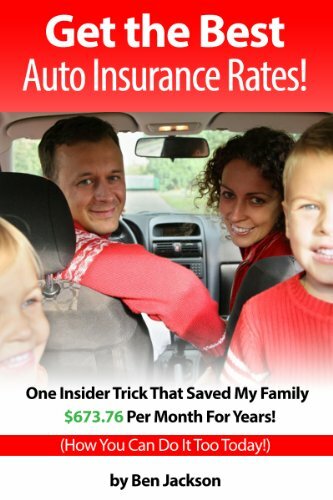 One Insider Trick That Saved My Family $673.76 Per Month For Years!